In Chicago, Cook County prosecutors dropped all 16 charges that were filed against actor Jussie Smollett. Just a few weeks ago, Smollett was charged for disorderly conduct by prosecutors for misleading police over a hate crime claim. Smollett always maintained his innocence. The response from the Chicago Police and Mayor Rahm Emanuel was swift. The baffling about-face left Emanuel and police Superintendent Eddie Johnson fuming. Johnson stood by the work of detectives and said he believed the city was owed an apology. CBS News reported on the Smollett story. The records of the case were sealed so many questions will remain. 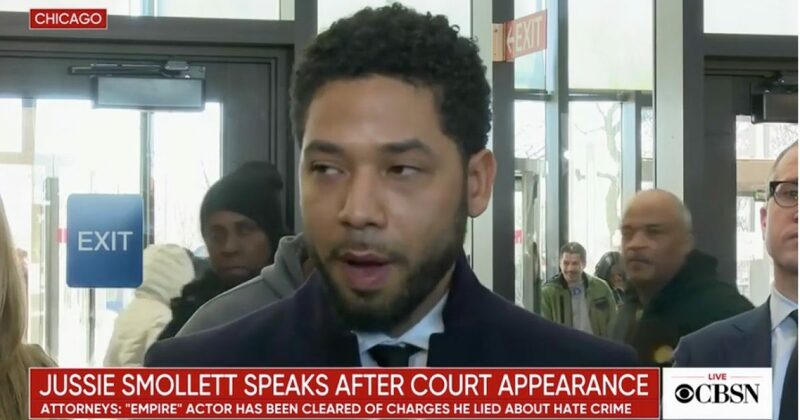 Dropping all charges for Smollett without a full explanation leaves too many questions unanswered and leaves the impression that if you are black, famous, and liberal you can get away with anything.